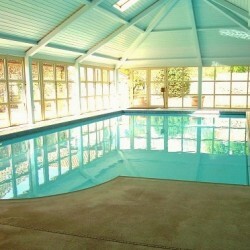 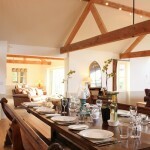 We are delighted to be able to add Plover House to our portfolio of superb family properties. 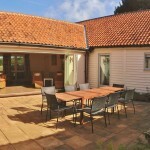 It is in the same cluster of wonderfully converted barns as Tern Place which has proved to be so popular with our discerning guests, and sits in beautiful countryside just outside the coastal village of Kelling. 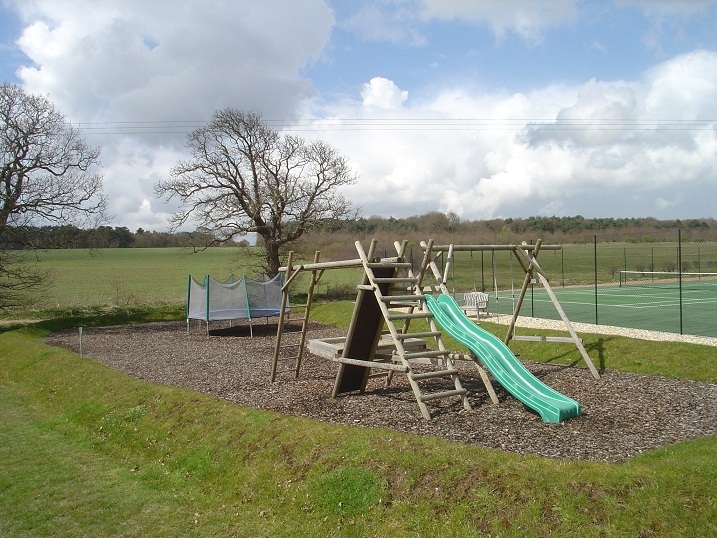 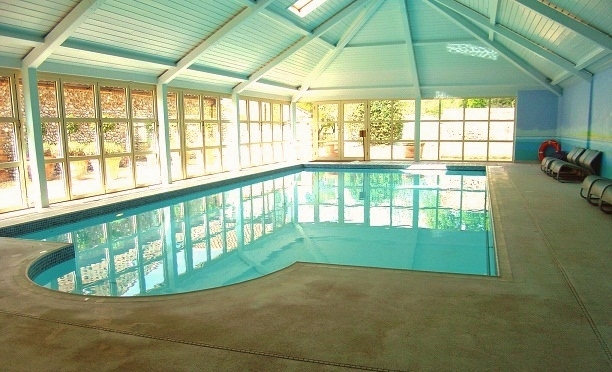 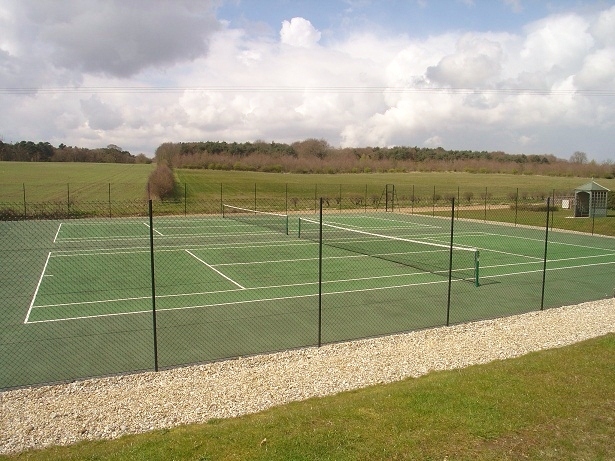 The barns enjoy the shared facilities of a fabulous indoor heated swimming pool, tennis courts and play area with swings etc, and there is a huge mown paddock for fun and frolics! 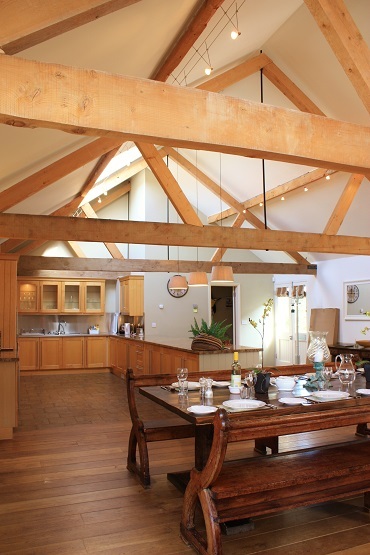 The design of Plover House has made the most of it wonderful large footprint of just under 2,500 square feet. 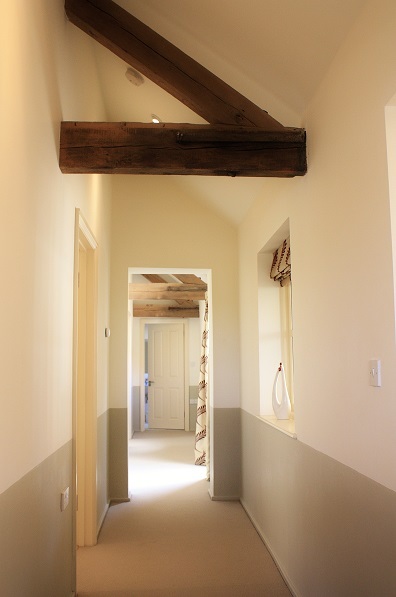 It is constructed on one level in an H shape with all rooms open up to the eaves exposing the original supporting beams. 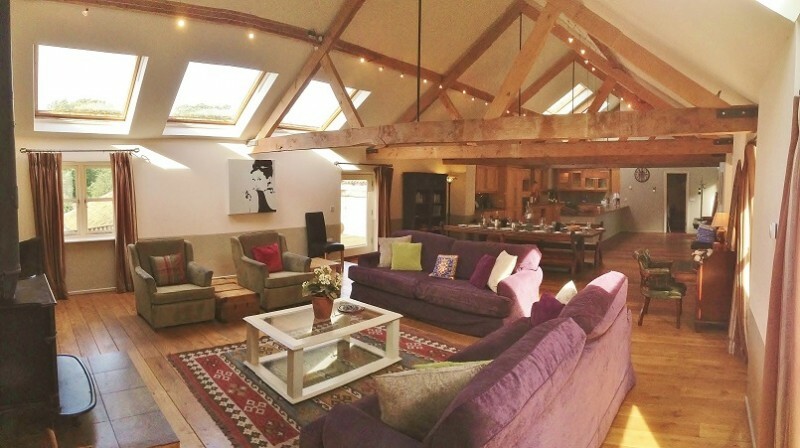 This along with the light let in by the large windows give Plover House a most spectacular sense of space. 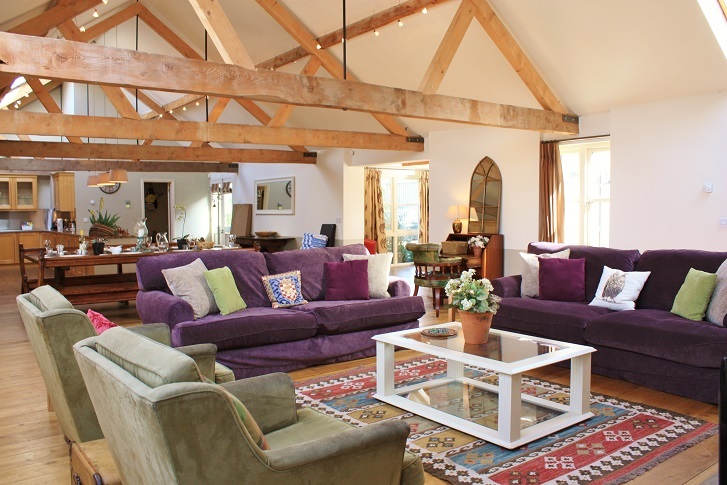 The living area is all open plan to make the most of the spacious barn interior. 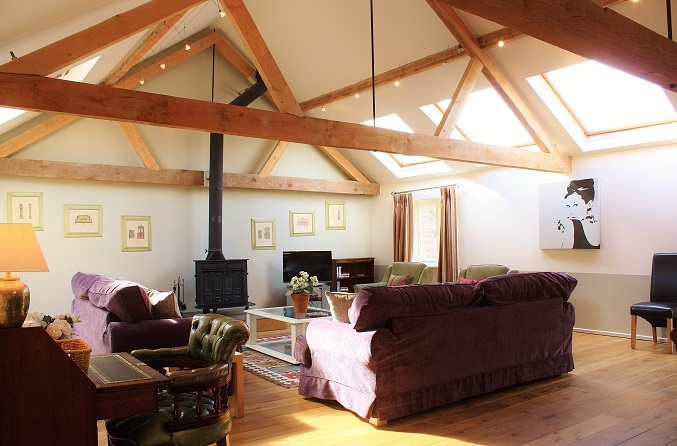 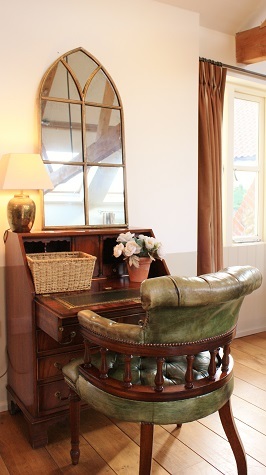 The sitting room is furnished with three large sofas and armchairs around the large wood burning stove. 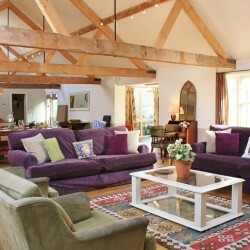 There is an LCD TV and DVD with FreeSat for cosy nights in and Plover House has the benefit of free Wi-fi. 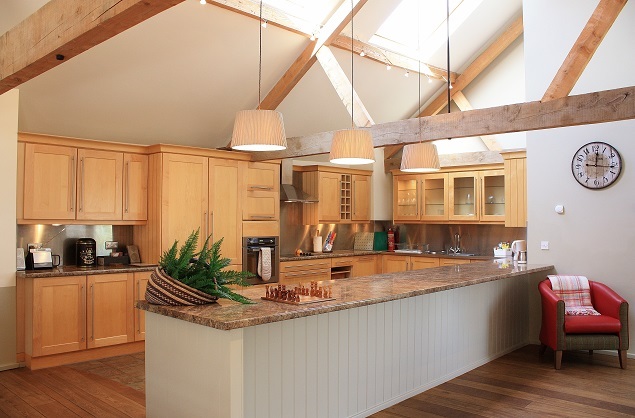 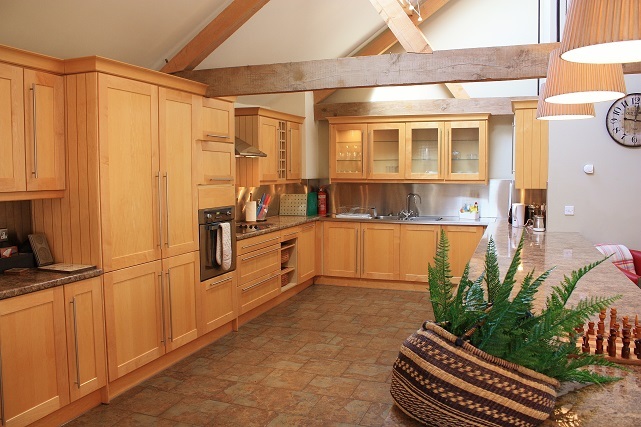 At the other end of the barn is the large kitchen with oodles of work surface and well equipped with ceramic hob, a fitted microwave combi-oven above an electric fan oven, dishwasher, washing machine and tumble drier. 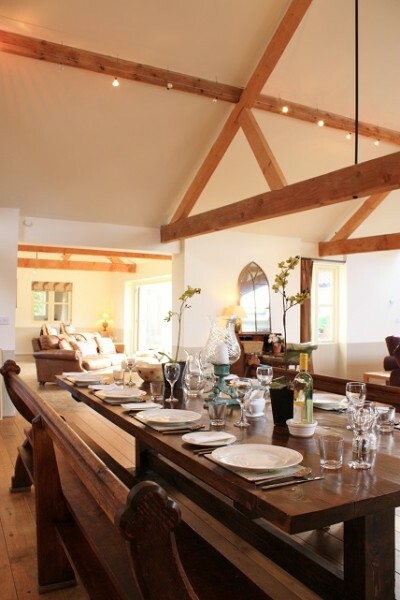 The dining table and its matching pew style benches break up the space in between the sitting room and the kitchen, it is huge and looks magnificent laid for celebration dinners. 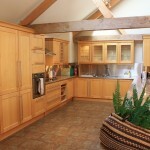 Just off the kitchen is a a large store cupboard with iron and ironing board, hoover, mops etc. 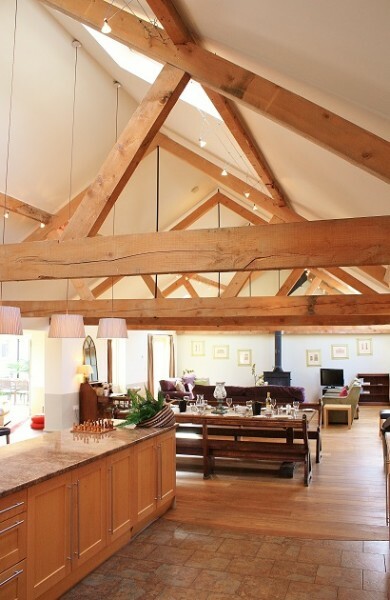 Through from the dining area of this wonderful room is the second sitting room which has large glass windows over looking the front aspect and superb bi-folding doors that open up on to the large courtyard letting the outside in. 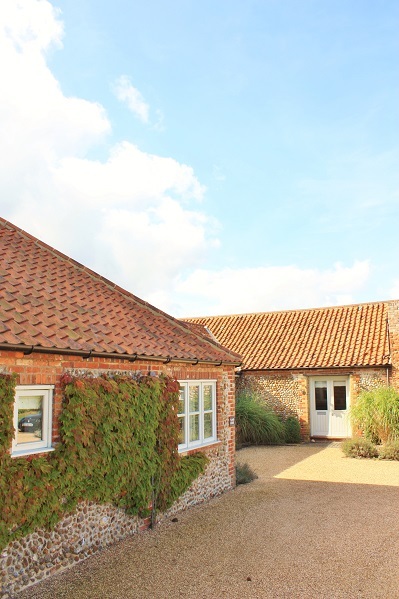 These doors come into their own when guests choose to dine outside in the summer, really turning the courtyard into another room of the house. 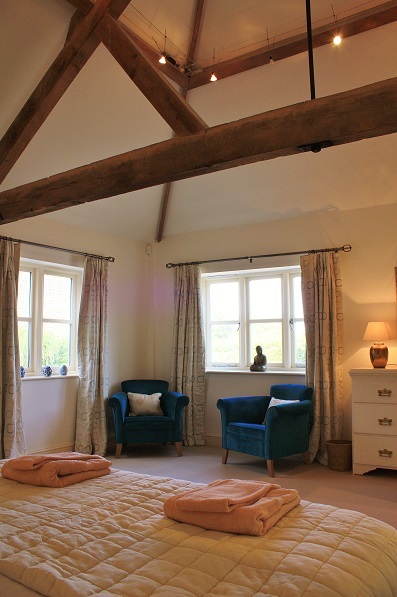 In this second sitting room is a LCD T.V. 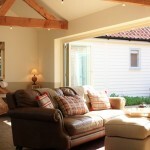 with DVD another comfy sofa and 2 stylish wicker loungers. 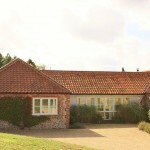 There is also local information, maps and guides and a selection of books, games, puzzles, CD’s and DVD’s. 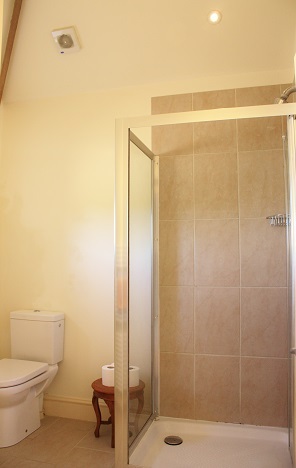 The bedrooms are all off a long corridor in the west side of the property. 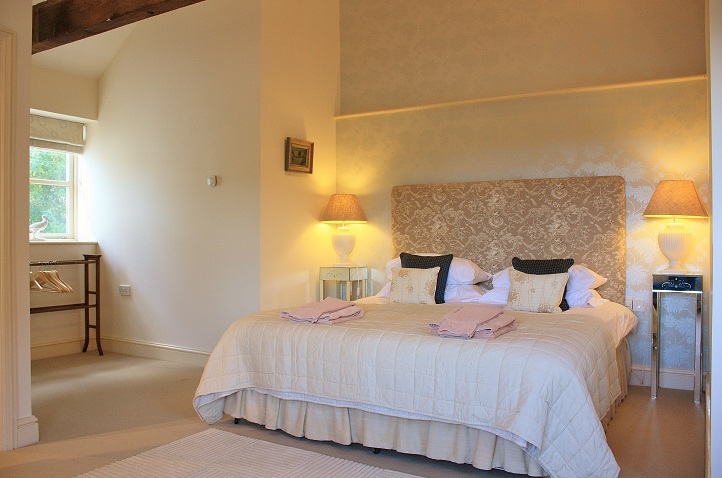 To the left is the large master bedroom with king bed and its en-suite shower room. 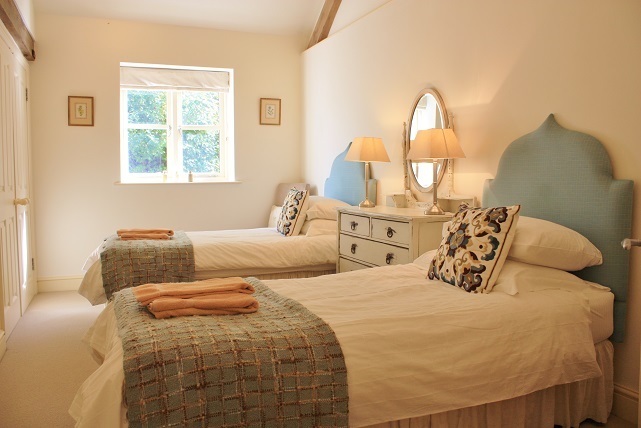 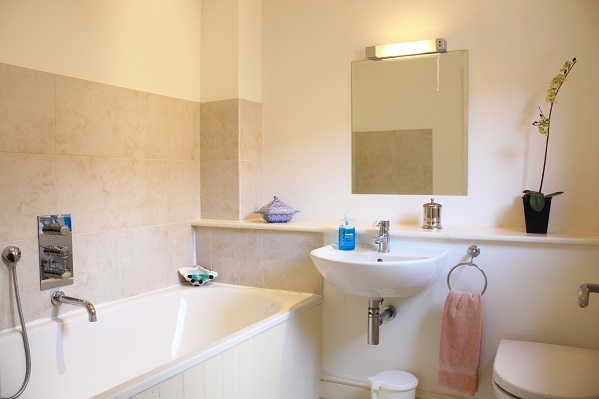 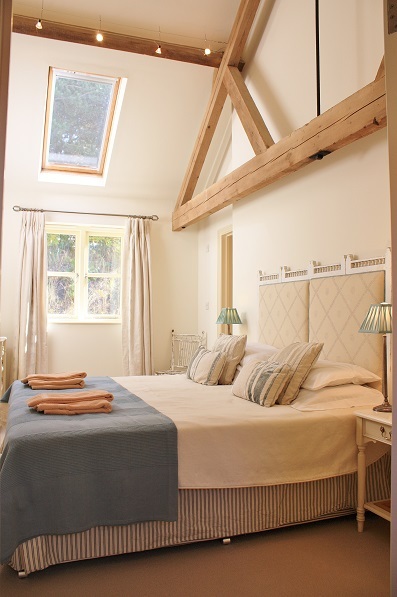 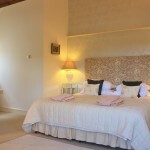 There are also 2 stylish twin rooms and a second king bedroom with en-suite shower room. 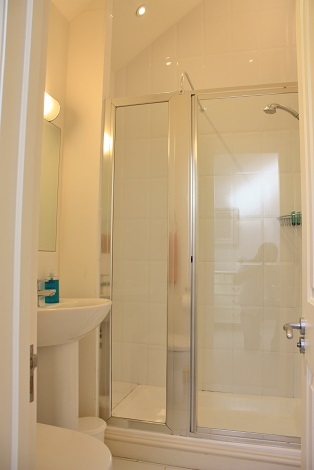 At the end of the corridor is the family bathroom with shower attachment. 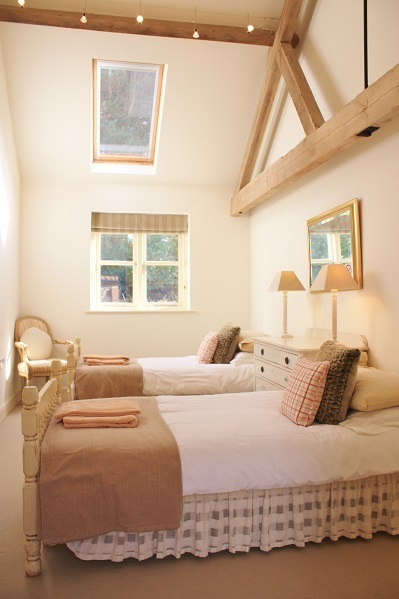 The rooms are all tastefully decorated with painted furniture and as with the rest of the house are opened up to the rafters giving a lovely light and airy feel. 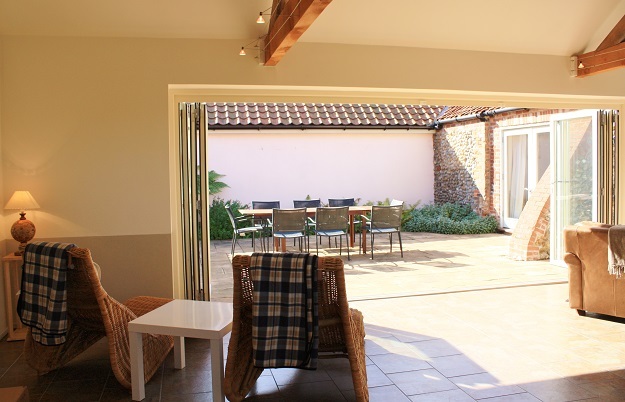 Outside as well as the fabulous central courtyard there is another separate, enclosed decking area with garden furniture for alfresco meals. 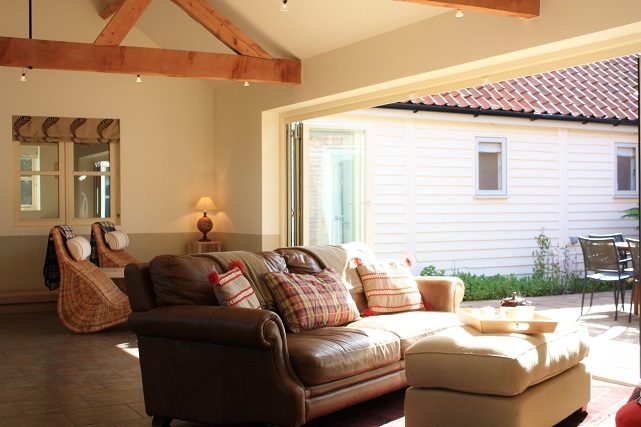 Guests can also enjoy the shared large open areas around the barn. 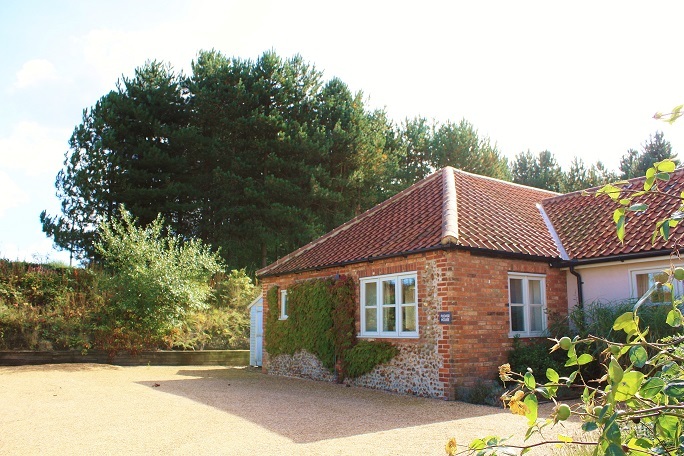 Plover House is approximately a mile outside the beautiful village of Kelling which has an amazingly quiet beach a short walk down a track between the fields. 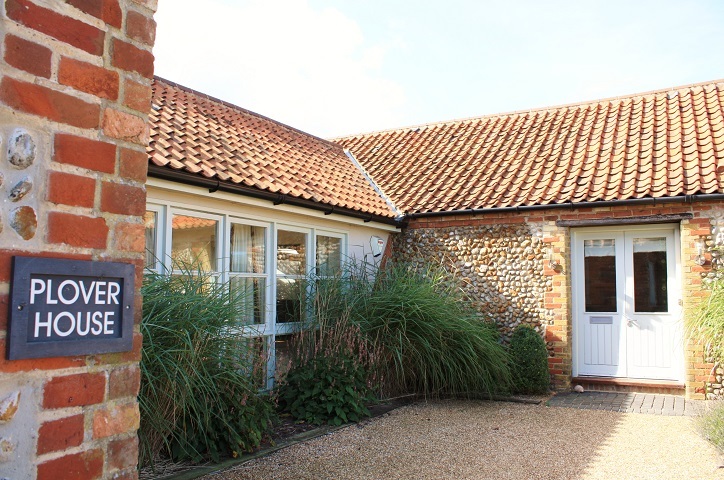 The pretty market town of Holt is about two miles away, famous for the wonderful selection of independent shops; butchers and fishmongers, green grocers and bakers, stylish clothes shops and intriguing galleries – something for everyone. 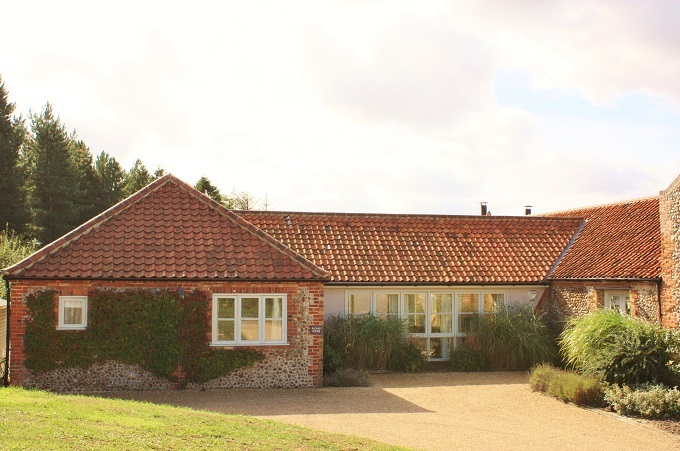 Renowned Greshams school has visiting companies at its Auden Theatre so there are often tickets for good plays and concerts available from its box office. 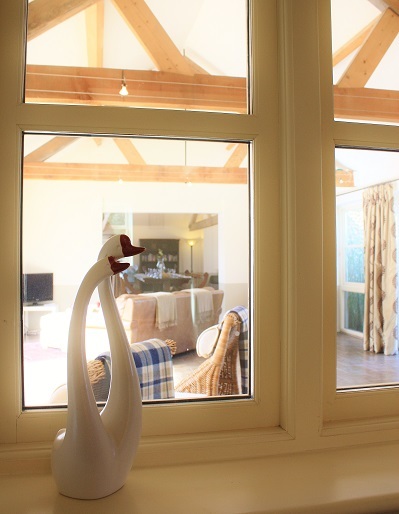 With views of the beautiful woods and fields on all sides and such a stylish interior, we are sure that Plover House will be extremely popular and will book up well in advance. 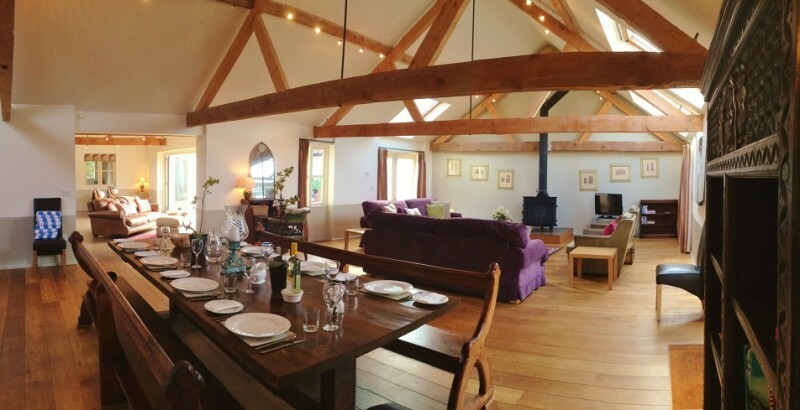 For larger get togethers, with up to 17 guests, Plover House can be booked in conjunction with neighbouring Tern Place (see link below) – please call us for more details.